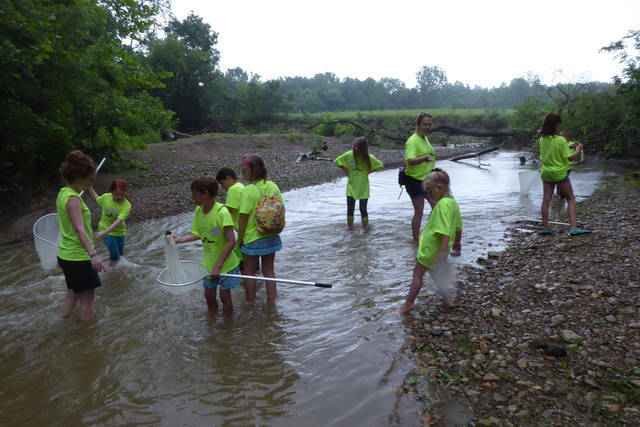 One hundred and nineteen elementary students experienced fun and learning at this year’s third annual Conservation Day Camp, sponsored by Preble Soil and Water Conservation District (PSWCD). Second through fifth graders were welcomed for three days of programming designed to help youth learn about, appreciate, and care for our bountiful natural resources. 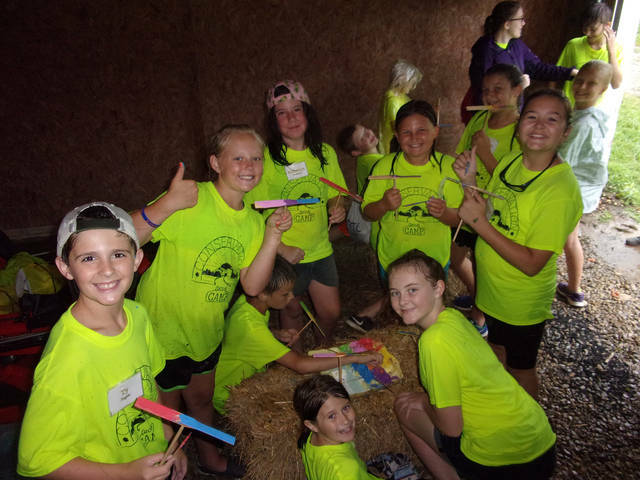 While at camp, children participated in activities related to vermiculture (worm farming) and soils, leaving no trace when exploring nature, survival and fire building, archery, forestry, wildlife, water quality in Aukerman creek, and crafts. In a session related to dairy farming, they made homemade ice cream in Ziploc bags. They also participated in a service project to help the Historical Society maintain their landscaping. The weather cooperated on Tuesday and Wednesday of camp, but the sky opened up and poured down the second half of the day on Thursday. At first, campers tried to stay dry, but when staying dry was no longer an option, they decided the rain was wonderful! They had the time of their lives while playing in the rain, jumping in large puddles, and singing several rounds of Singing in the Rain. 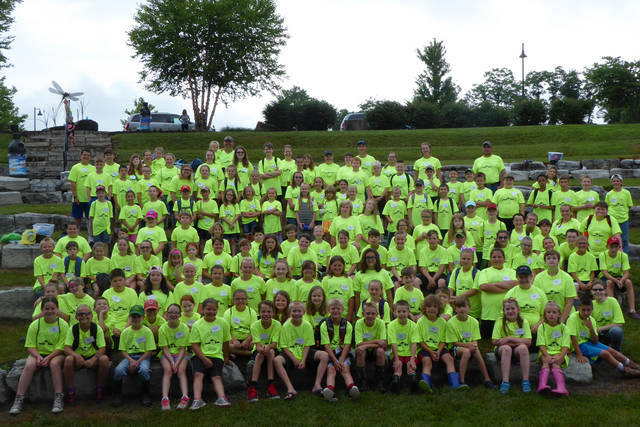 PSWCD would like to thank the many people who helped make camp possible. Sponsors included Gillman Home Center and Walnut Harvest Auctions, LLC. 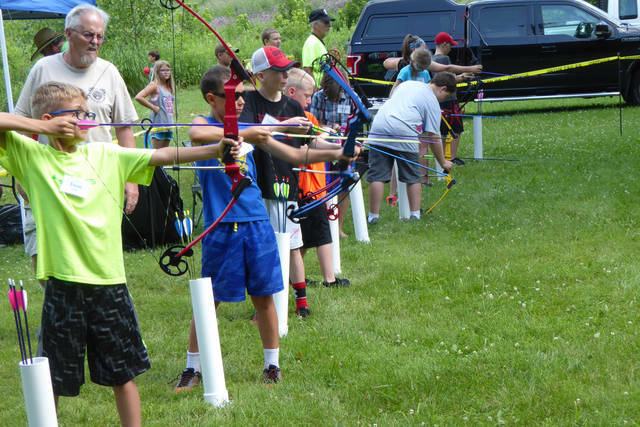 The Preble County Historical Society provided a fantastic location for outdoor learning. In addition, many local people volunteered their time as presenters, volunteers, and counselors. We’re already looking forward to next year’s camp, and hope to have even more youth participate.